What do history and archaeology have to say about Jesus' death, burial, and resurrection? In this superb book, two of the world's most celebrated writers on the historical Jesus share their greatest findings. 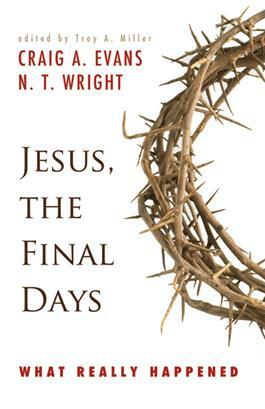 Together, Craig A. Evans and N. T. Wright concisely and compellingly convey the drama and the world-shattering significance of Jesus' final days on earth. To listen to Craig A. Evan's interview about this book on WJK Radio with Dan and Jana, click here.